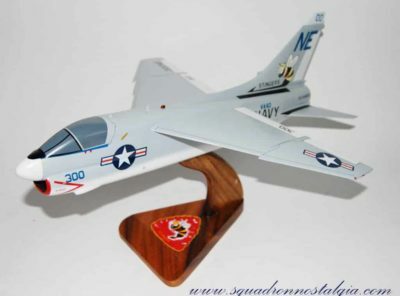 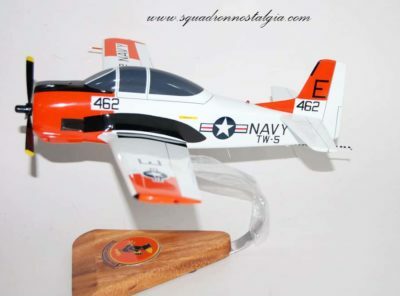 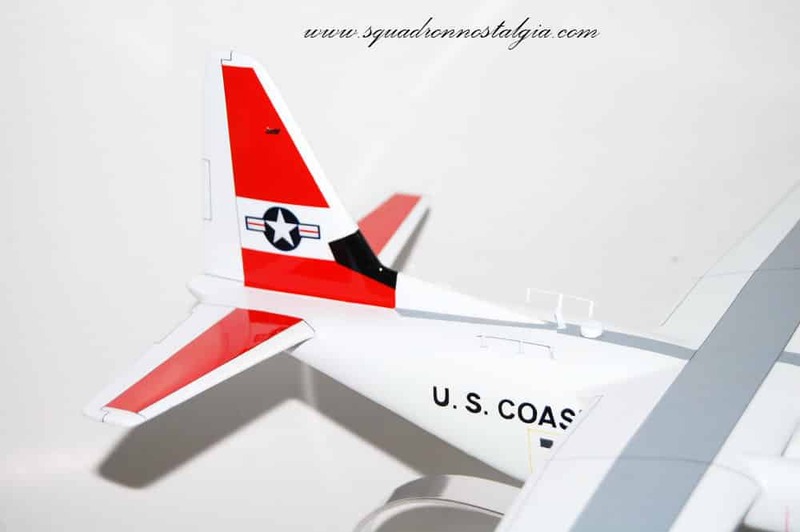 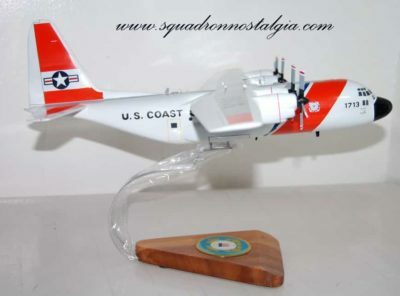 A perfect gift or keepsake for any Coast Guard Aviator! 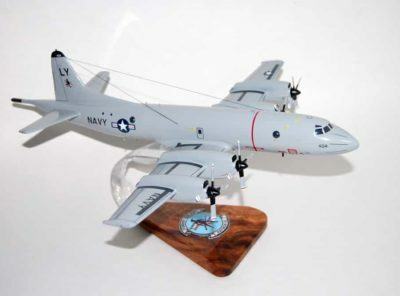 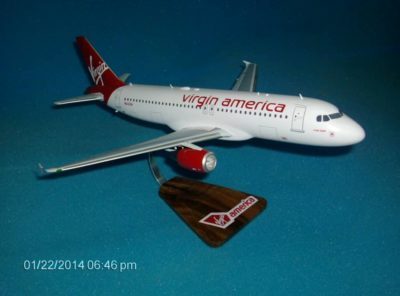 This C-130J model has an 18 inch wingspan and is carved from Mahogany and carefully painted to provide the perfect display piece. 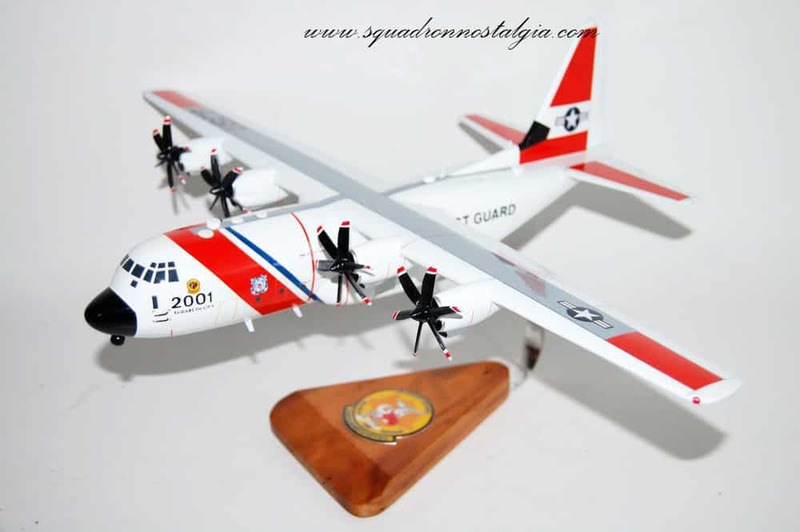 The C-130 is a mainstay of the United States Coast Guard air fleet. 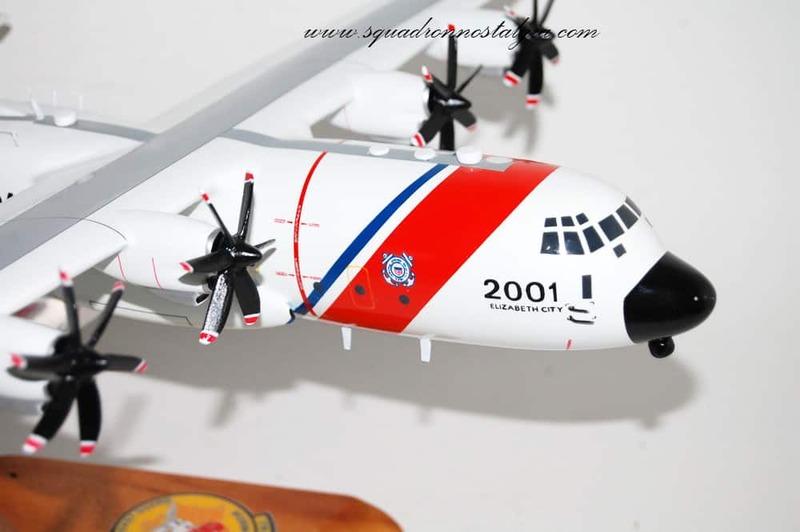 The Coast Guard’s fleet currently includes 22 HC-130H, two HC-130H with the Avionics One Upgrade (A1U), and six HC-130J models of the famous Hercules, widely recognized as the West’s premier military transport. 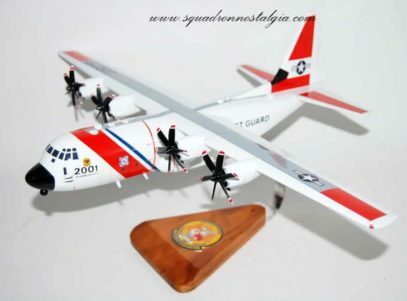 The Coast Guard’s history with the “Herc” dates to 1958, when it first ordered the R8V-1G (HC-130B) model, (now retired.) 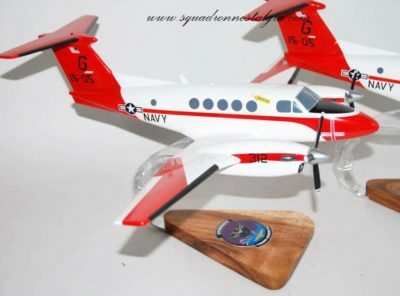 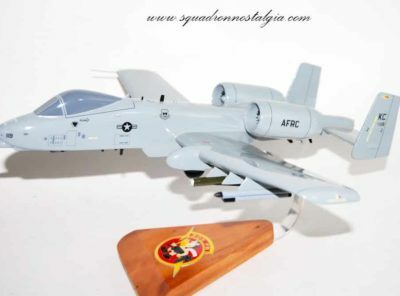 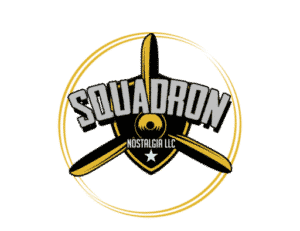 The configuration of these aircraft is suitable for a variety of missions. 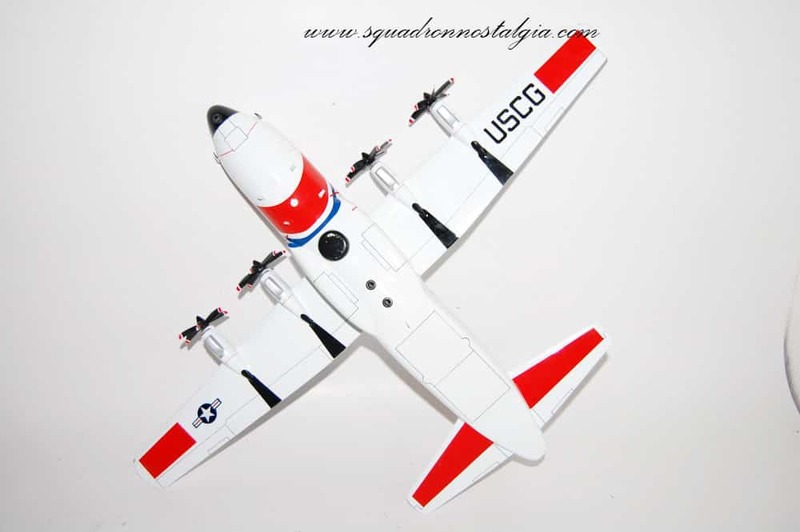 The four-engine, high-wing aircraft can carry 92 passengers, although the usual number is 44, with 14 web seats and pallets with 15 airline-style seats each. 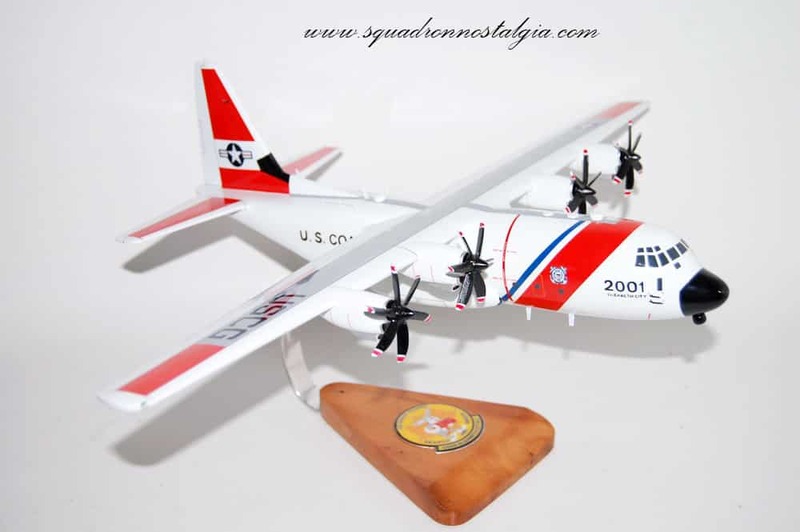 The HC-130H can also carry 51,000 pounds of cargo, rescue, or oil-pollution-control equipment. 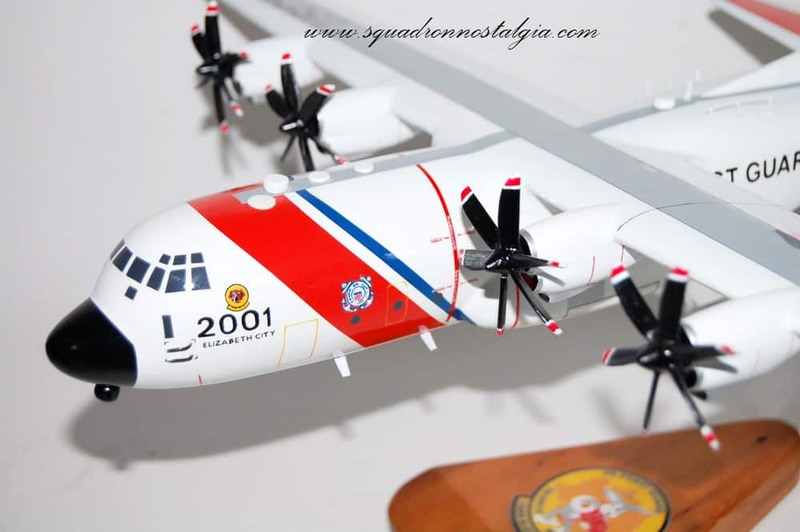 Operated by a crew of seven (7), the HC-130H can airdrop life rafts or dewatering pumps, or dispersant for oil pollution control.